Sen. Bernie Sanders (I-VT) went after President Trump Tuesday while he was campaigning for Maryland gubernatorial candidate Ben Jealous (D). He called Trump “the most racist, sexist, homophobic, bigoted president in history." Unlike former Vice President Joe Biden, Sanders said earlier this week that he would not go so far as to link President Trump’s rhetoric to the recent mass shooting at a Pittsburgh synagogue Saturday. He said Monday that he would not “blame the president" for the actions of the anti-Semitic gunman. Sanders has been frequently invoked as an example since the shooting because a supporter of his targeted Republicans during a Congressional baseball practice last year and shot House Majority Whip Steve Scalise (R-LA). 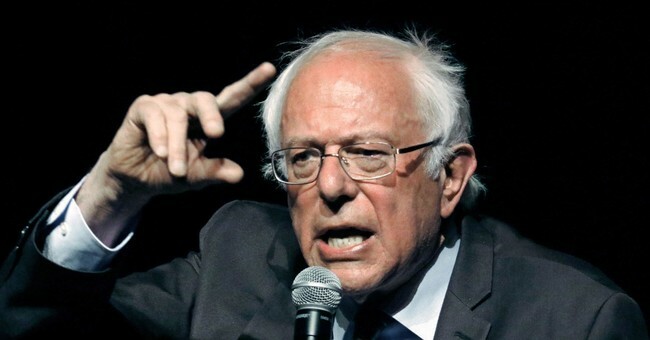 Sanders immediately condemned the shooting at the time saying, “violence of any kind is unacceptable in our society and I condemn this action in the strongest possible terms." At a candidate forum Monday evening in Vermont, Sanders would not say that he would serve a full term if re-elected, indicating that he is considering another presidential run.